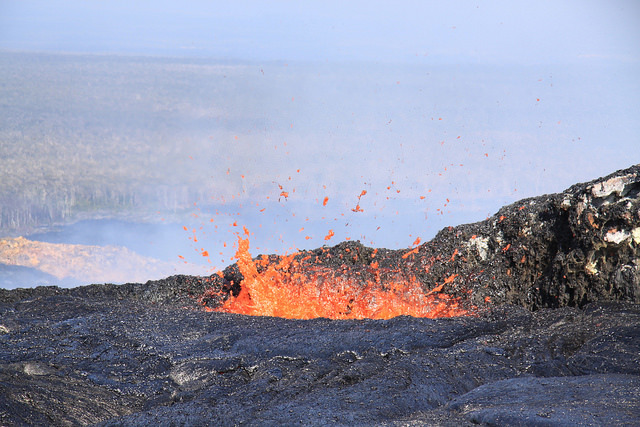 Explosions like this are often visible to our guests at the Jagger Museum. 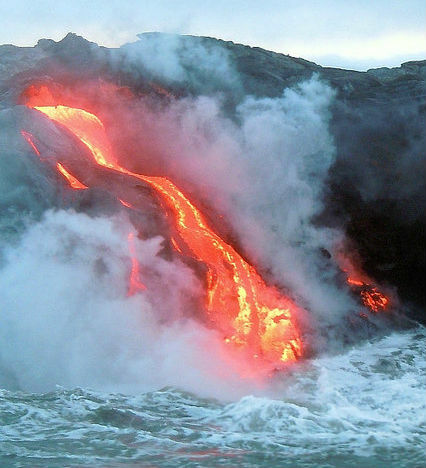 Lava flows over the cliffs into the ocean. 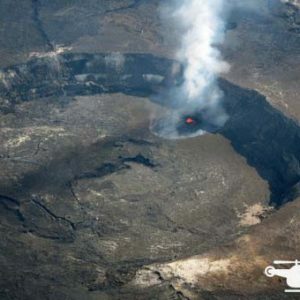 2015 was a great year for helicopter tours to see Kilauea Volcano erupting. 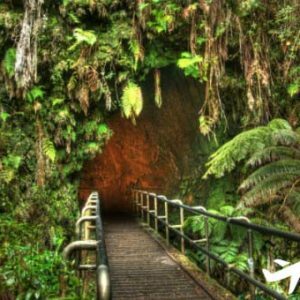 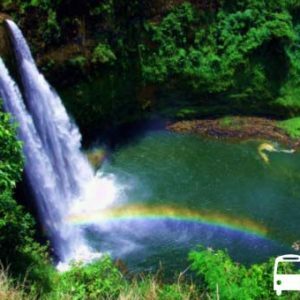 There are 5 volcanoes on the Big Island of Hawaii. 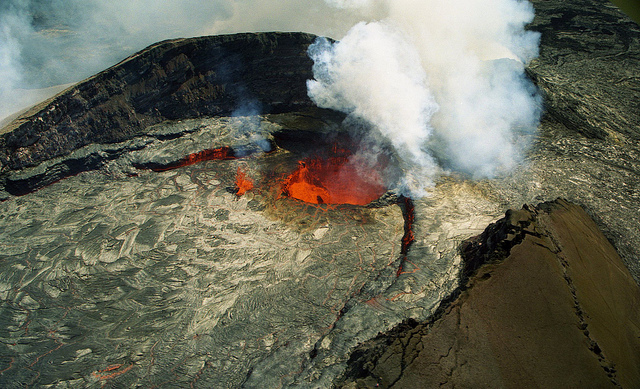 Kilauea Volcano is the one that is currently most active. 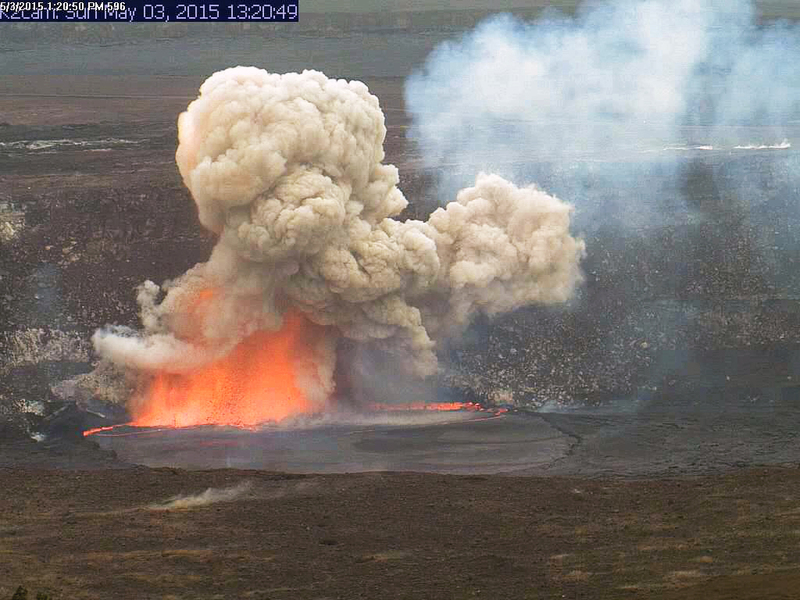 Halema’uma’u Crater and Pu’u O’o vent are the sites of the most activity right now. 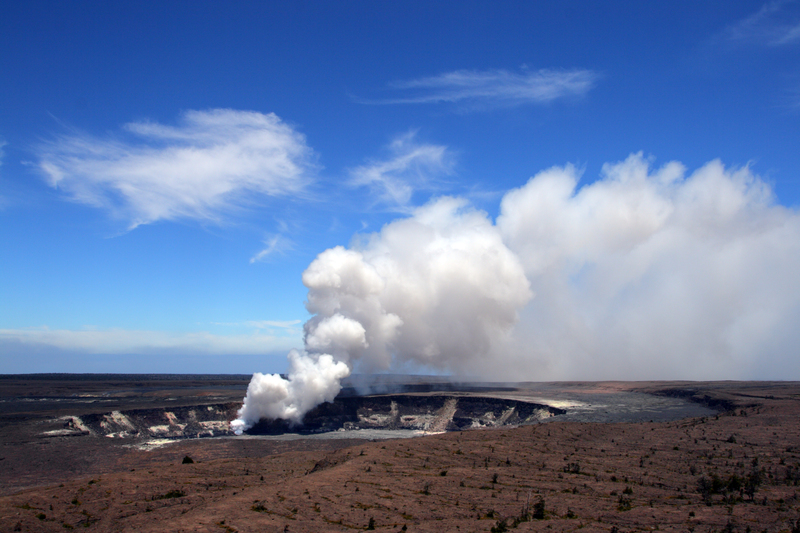 Halemau’u’u Crater at the summit of Kilauea Caldera is visible from the Jagger Museum on our land tours. 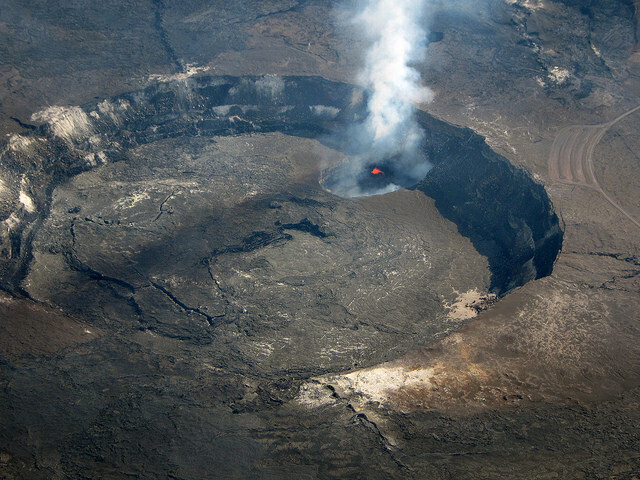 Pu’u O’o is only visible by air on our helicopter tours.